The market is not short of laptops because these devices have recently managed to attract the attention of the entire consumer world due to the portability they offer without compromising the performance of the hardware made available. If you are interested in such a device yourself, but you need to keep it under $700, you should check out the list below that gives examples of some of the best laptops that can be bought for around $700. 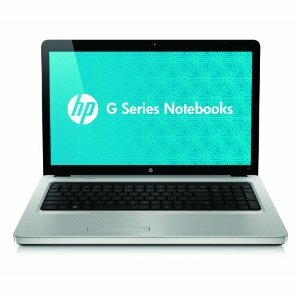 One of the offers that the market makes available when it comes to laptops under $700 is the HP G72-250US that comes with a 17.3-inch screen and a hardware configuration that’s worth the money. With this laptop in your hands you will be able to watch movies in good quality all day long and take care of your tasks without much struggle. That’s because you will be relying on an Intel Core i3 processor and 4GB of DDR3 that can be expanded to 8GB. You will also find an Intel HD graphics card that will prove useful for watching movies and playing games, as well as for experiencing video calls with the help of the HP webcam with microphone integrated in the design. Also available is a 5-in-1 Digital Media Reader. Another possibility that should be checked out by any interested buyer is the Toshiba Satellite LED TruBrite laptop that’s a good choice under $700 for those who will be satisfied with a 14-inch screen. What you will get for your money is a 1.8GHz AMD Phenom II P820 processor equipped with three cores, 4GB of DDR3, a 320GB hard drive, a display that’s backlit and ATI Radeon HD 4250 as graphics card. The OS preloaded is Microsoft Windows 7 Home Premium while the battery can ensure 3.8 hours of battery life. Because of this configuration, the performance delivered is quite impressive and can support all sorts of advanced tasks. This is the main reason why most of the times customers reviewing it give it five stars out of five. 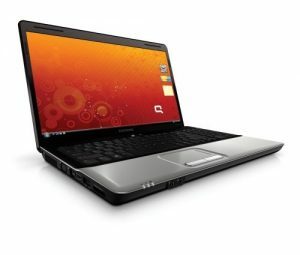 For a similar affordable price, you can also purchase the Compaq Presario CQ61-420US laptop that comes with a large screen and a hardware configuration that manages to satisfy most costumers. However, the specs aren’t as impressive as those of the Toshiba laptop that we were talking about earlier. Made available is an AMD Athlon II dual-core processor that runs at 2.1GHz, 3GB of DDR2, a 250GB hard drive, a 15.6-inch high-definition display and an ATI Mobility Radeon HD 4200 graphics card. As operating system you will be using Windows 7 Home Premium, the 64-bit version, while the battery made available is able to support 4.25 hours of use.